SiriusXM® Marine receiver delivers continuous access to SiriusXM Marine services providing the weather and info you need; the entertainment you want. Integrated all-in-one design with easy plug-and-play installation with NMEA 2000 network connectivity, the GXM 52 is the latest SiriusXM Marine receiver. 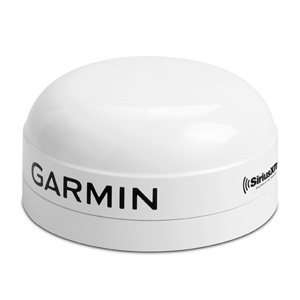 It provides continuous weather information to your compatible Garmin chartplotter.